The Bohemia River has headwaters beginning around Middletown, Delaware and then flows through Maryland's eastern shore draining into Chesapeake Bay. The Bohemia River is a tributary of the Elk River on the Delmarva Peninsula. It is located in Cecil County, Maryland and its headwaters extend into New Castle County, Delaware. The Bohemia River begins east of Hacks Point, Maryland, where its two major tributaries, Great Bohemia Creek and Little Bohemia Creek come together, and ends at the Elk River in a wide mouth between Town Point and Ford Landing. Great Bohemia Creek and its tributary, Sandy Branch rise near Middletown, Delaware and Little Bohemia Creek rises near Warwick, Maryland. They flow through the level coastal plain, quickly reaching sea level. There are several small creeks on the northern shore, including Pooles Creek and Manor Creek. On the southern shore small creeks include Morgan Creek and Scotchman Creek. 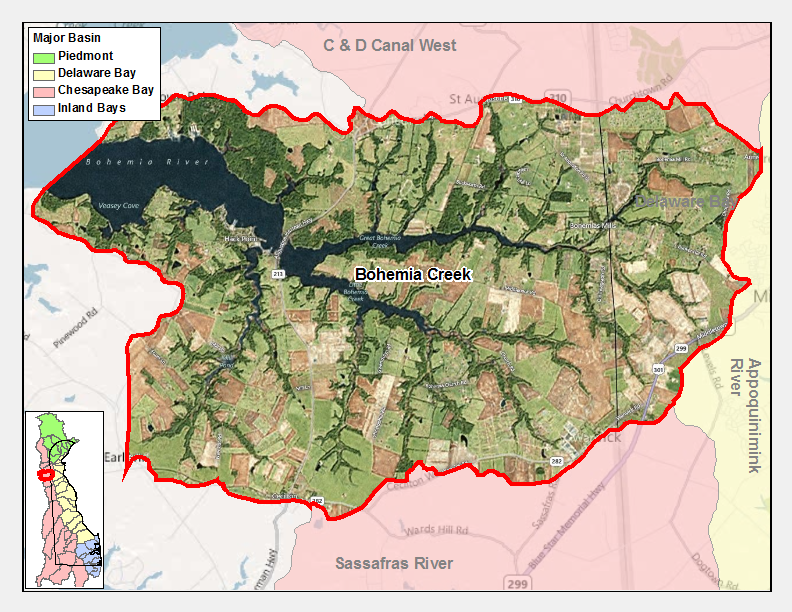 The Delaware portion of the Bohemia Creek is rural with flat topography, ranging from 50 to 100 feet above sea level. 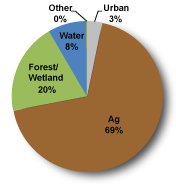 The dominant land use is agriculture.